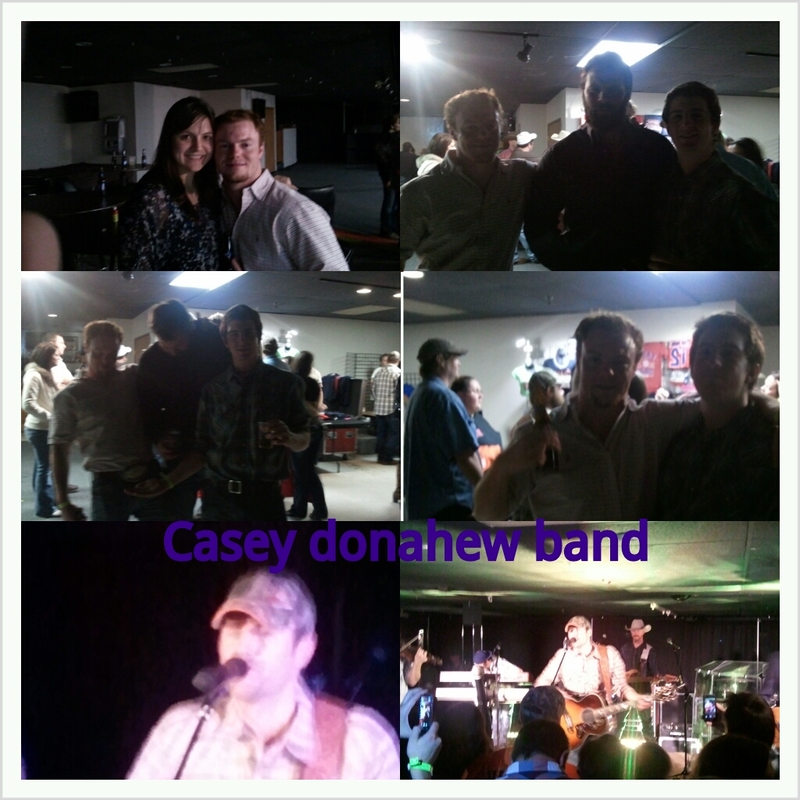 Don't Look Down: Casey Donahew Band. Well I had quite an exciting weekend. Some things were the good exciting and some things were at the other end of the spectrum. Matt bought us tickets to a concert in Iowa City on Thursday evening. I was supposed to leave work a few hours early that day to make the drive. But, of course, I went in a half hour early, skipped lunch, and still didn't leave on time. And I ended up working 8.5 hours. So much for leaving early. Casey Donahew is a southern boy from the great state of Texas and sings "red-dirt country." You've probably never heard of him and if you don't like country then I can guarantee you've never heard of him. He mostly does shows in Oklahoma, Texas, and some in Nebraska, but was venturing north for this show. Once Matt heard about this show he had to get tickets even if it was on a Thursday night. He even convinced two of his friends to come to the show as well. He writes typically country songs about guns and trucks and girlfriends and white trash stories, but he also writes about getting high. In fact, we are convinced that he was high during the show. His eyes were all glazed over and he had the stoned look about him. 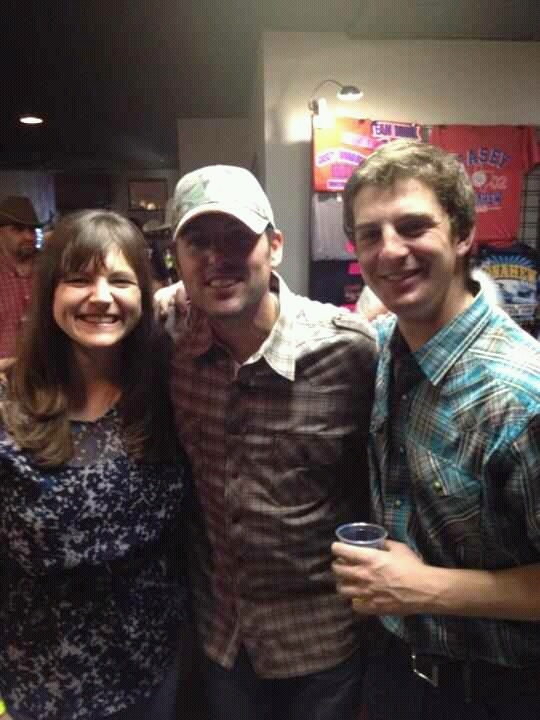 We even took this picture with him after the show. After the concert we took a cab back to downtown Iowa City. I had grand plans to go out downtown, but of course forgot that I am old and can't party like I used to and went straight to bed once we got to the hotel. Speaking of the hotel, I was selected as guest of the day and upgraded to the super special Club Level. Apparently it was my lucky day! Our room was on the top floor and came with snacks (cashews, cranberries, chocolate shavings, and chocolate covered pretzels) and we had a complimentary breakfast the next morning. Except we slept through the breakfast part. Oops. Instead we grabbed water and snacks from the club room before leaving. We were starving and ended up at Oasis Falafel at 11:30 to get lunch. I loved eating at Oasis when I was in college and was excited to be able to enjoy their food once again. Matt and I both had pita sandwiches mine with falafel and his with falafel and lamb. They were both delicious. Oasis has the absolute best hummus. I wish I could find a good falafel place near my place now, but haven't found anything that comes close to Oasis. Matt's mom had invited us over for dinner later that day so we had the rest of the day to spend in Iowa City/Coralville. After walking around downtown Iowa City so I could relive my college days we headed over to the Coralridge Mall so we could work on our Christmas shopping. I did a great job of not buying anything for myself but Matt bought himself several things. I was jealous. I even ended up buying him a sweater. Unfair! We had tentatively planned on going to a movie, but nothing we wanted to see was showing in the early afternoon so we nixed that plan and got ice cream from Coldstone. I needed to use up a gift card from last Christmas! When we were driving to Matt's mom's house later, Matt told me that he always finds the best deals when he is shopping with me. I laughed because I think this translates to "You make me shop for much longer than I do on my own and we have to go to every store and through every aisle. Therefore I find more things to buy. And you use coupons." Matt is the kind of person that knows what he wants and goes to the store to buy it without looking around for a better price. We had a great dinner with Matt's mom and several of her friends. She served steak, baked potatoes, lettuce salad, raspberry fluff, and bread. I was happily stuffed by the end. After dinner, we sat around at talked and played games on the ipad. It was a good night! I also played some with the cute dogs, allergies be damned! It ended up being a late night and we didn't leave Coralville till after 10 pm. Late night drive back to Iowa.